LET'S RENOVATE THE BROOKSIDE COMMUNITY CLUB! 7th grade girls from Mendham Township are leading a fundraising effort to renovate the Brookside Community Club. 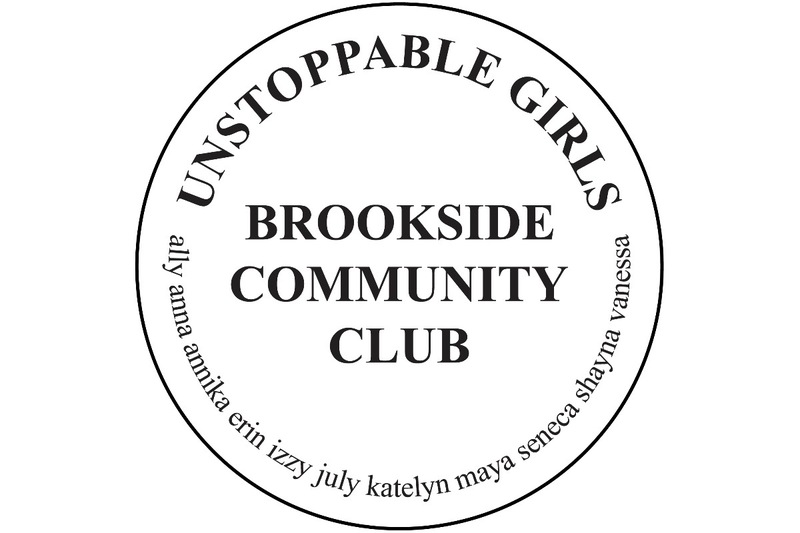 We are a newly formed group called “Unstoppable Girls" and we are writing to you on behalf of the Brookside Community Club. Our group is made up of eleven determined 7th grade girls from Mendham Township. The Brookside Community Club has been a gathering place for local residents since 1923. It exists to serve the needs of our community and neighboring towns for personal events such as birthday parties, weddings, showers, and other celebrations. The club also provides meeting space for area Boy Scouts, Girl Scouts and private classes. Since 2012 our organization has held monthly meetings at the Brookside Community Club and as a result the Club has become our "home". We have created lasting memories while learning life lessons here. One valuable lesson we discuss at each meeting is the importance of being a part of the community we live in and giving back to our community in any way possible. Last year we had an idea…what better way to give back than to help the club raise money for much needed repairs and updates?! Extremely excited, we approached the organization we are a part of about our idea but sadly they told us we could not move forward under their name because it was “too big of a project”. So we did what any determined group of girls would do, we started a second group and named ourselves “Unstoppable Girls”. Now we are able to pursue our goal of raising money to help update the Club. Working closely with the members of the Brookside Community Club, we have set a fundraising goal of $80,000. While a lofty goal, these funds will allow the club to be updated in all areas while still maintaining the charm that we all know and love. We are writing to you today to ask if you will consider helping us to reach our goal with a monetary contribution. 100% of funds raised will go directly to this project, whether we reach our goal or not. Once the works starts, please visit our website at www.unstoppablegirlsmendham.com where you can see photos of the work and an accounting of project spending. The end result will be a beautiful, updated community center that will benefit everyone in the town who uses it and all its future members and visitors. If you would like to support our cause, kindly make a donation via this Go Fund Me page. You will receive an email confirming your donation for tax purposes. Please consider a corporate match if your employer offers a Matching Gift Program. Every donation, no matter how large or small will help us achieve our goal. The Brookside Community Club is a non-profit tax-exempt [501(C)3] corporation owned by its members with an unpaid board elected by the membership annually. A donation of $50 or more will be recognized on a plaque within the Community Club. If you would like to further help out our cause and sponsor an area/item within the Club please contact us directly at unstoppablegirlsmendham@gmail.com. Please accept the Unstoppable Girls team's most sincere appreciation in advance for any and all donations…we look forward to seeing you at the ribbon cutting!